I have been a busy lady for the past few weeks DIYing up a storm. 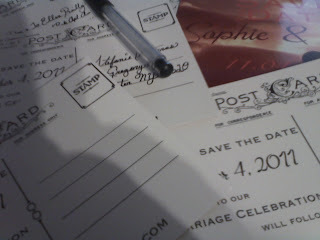 I mailed out my save the dates today! Unfortunately I got stuck with poler bear stamps. Darn post office. I ordered the postcards free from vista print and just paid shipping.